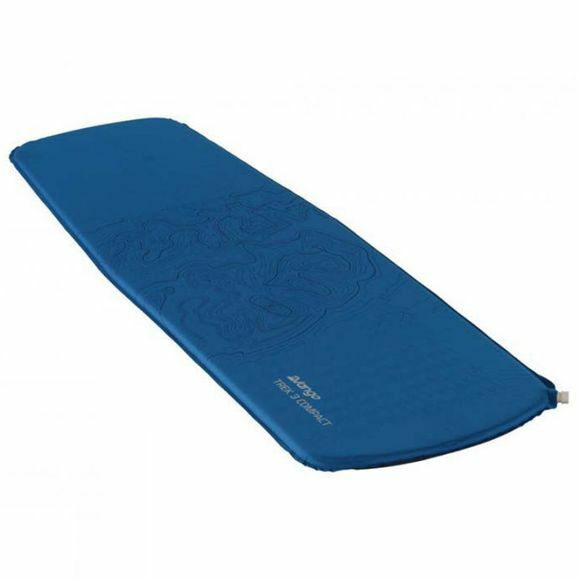 The Trek 3 Sleeping Mat Compact from Vango is an ideal shorter-length entry-level sleeping for anyone looking for a durable mat to take on their next adventure. With the Fast-Flow valve, inflating and deflating is quick and effortless and with 3cm of padding, you can sleep comfortably up off the ground. When you wake up feeling refreshed, lightweight design and small pack size make packing up a breeze so you can get up and get going fast.